It’s around mid-September that you begin seeing all of the expertly curated articles being pinned, shared and tweeted. Articles detailing the crème de la crème of both child and family themed Halloween costumes, many of which, (and this part is especially important to note) are made by hand. 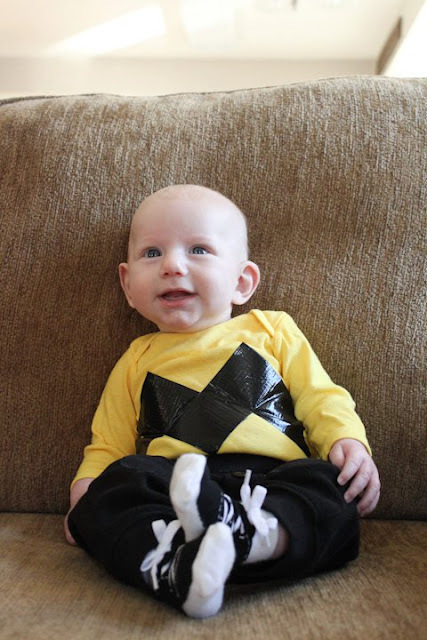 Four years and three kids ago, this was also around the time that I began to break out in stress hives wondering just how I could keep up with the Joneses of HuffPo and DIY some kind of incredible, chart-topping handmade costume for my three month old. Yes, you read that correctly. I said my three-month-old. Naturally it was imperative that he dress up. 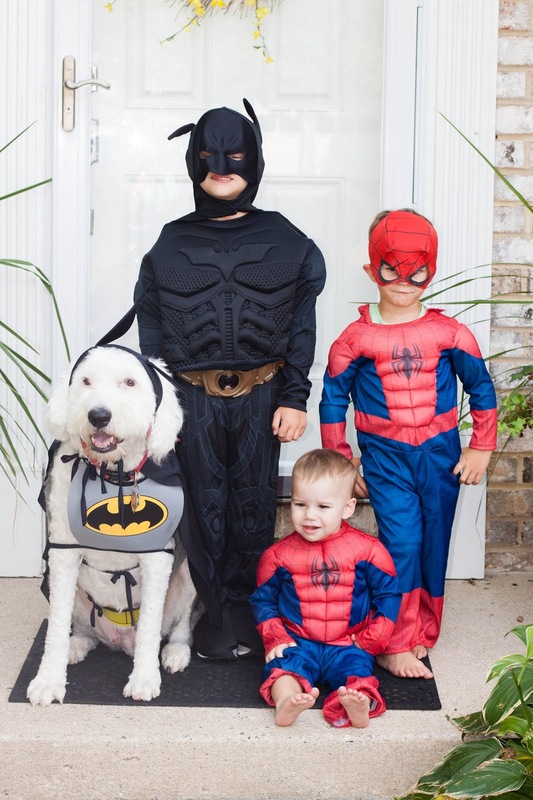 After all, it was his very first Halloween and there were photo opportunities to be had, never mind that he wouldn’t be heading door-to-door for any trick-or-treating much less be awake past the 6 o’ clock hour. I spent weeks agonizing over what he would dress up as. I thought to myself, “of course it would have to be something that the whole family could be involved in,” which created a whole new set of hurdles in and of itself. Now I’d love to sit here and say that I learned from that experience. That when it came time to celebrate my second baby’s first Halloween and then my third baby’s first Halloween, that I didn’t break out in stress hives. That I didn’t spend hours on Pinterest pinning coordinating family costumes. But the truth is, I did. Because as a mom, I always want the best for my children. I want them to enjoy every possible moment of life. 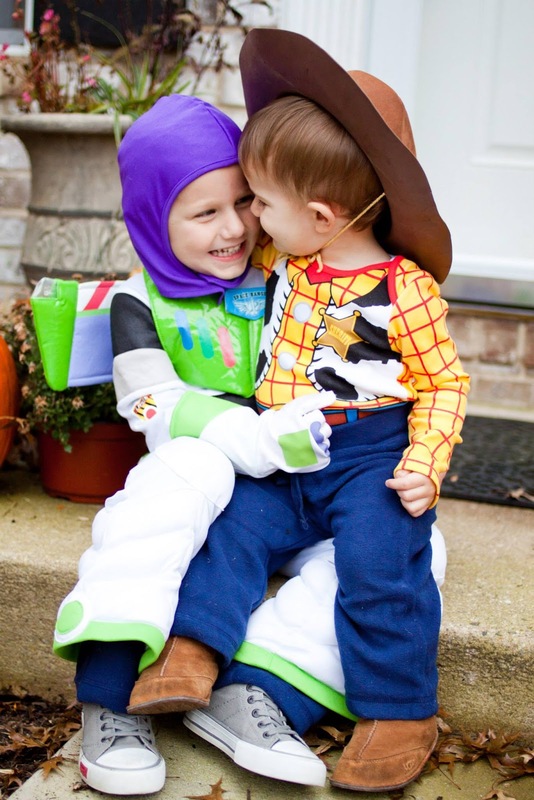 I want them to experience a childhood full of magic and wonderment. Sometimes that manifests itself as dressing up your three month old as Charlie Brown using duct tape and garment dye. Because MAGIC and WONDERMENT, OKAY? You know what else I’ve learned? Sometimes that wanting the best for them also means accepting disappointment and defeat. Like when your three year old and five year old want nothing to do with the grand family-themed Halloween costumes you planned for them this year. So instead of forcing them to go along with your grand Neverland plans, you let them pick out whatever it is their little heart desires even though you know the baby would have made the most adorable Captain Smee on the planet and your five year old would have nailed Peter Pan and there was most definitely NOT a spy police captain on the Jolly Roger, as your three year old is adamant he should be one for Halloween. None of us are perfect and I can guarantee that all of those families with Pinterest-perfect costumes and magazine worthy backyard pumpkin parties are all lacking somewhere else in their day to day. I’d like to believe that maybe they haven’t worn clean underwear for the last week or perhaps they all ate inorganic Lucky Charms for dinner. 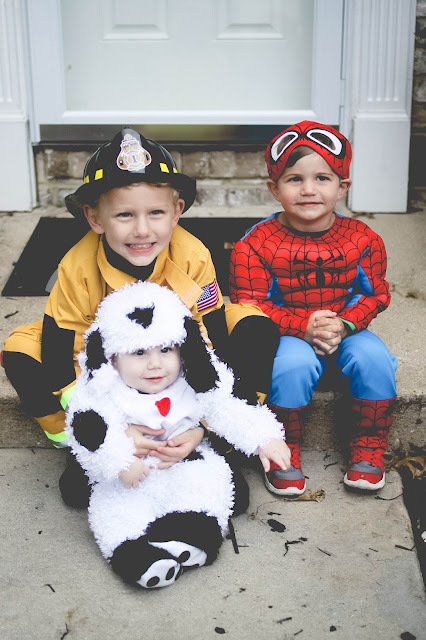 What matters most is that we as parents, whether we have the perfect family costumes picked out be them store bought or handmade, or hand out the most delectable homemade treats at preschool pick up or hand out bags of pretzels, care for each other, our children and the children in our community. None of us are perfect but if we care and worry about our children and our friend’s children and our neighbor’s children, we’re already #doingood. We’re already one step ahead of the curve. The rest? Well that’s just pomp and circumstance, the icing on the pumpkin spiced cupcake. What I’m really saying is candy rots, trends change and next week your son may not even give that costume of his favorite cartoon character that he spent weeks begging you for a second look. The memories made, however, of making scarecrows, picking pumpkins and spending extra time with family and friends, will last a lifetime. 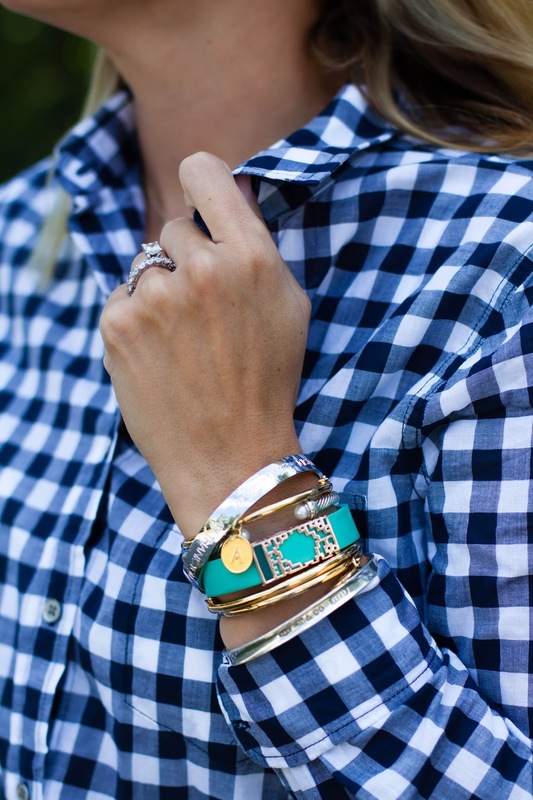 I apologize if you happened upon this post because you, too, are mad about plaid. While I do love me some good ol' tartan, the point of this post is to profess my love for buffalo check. That said, saying "I'm crazy about buffalo check" doesn't quite have the same ring to it as that nice little rhyme up there and according to Wikipedia, "buffalo plaid" and "buffalo check" are acceptably interchangeable. Now, fashion blogger I am not but when I stumble across a good deal, a great boutique or a fab find, who am I to make you like it to know it or just keep it all to myself? The answer is no one. 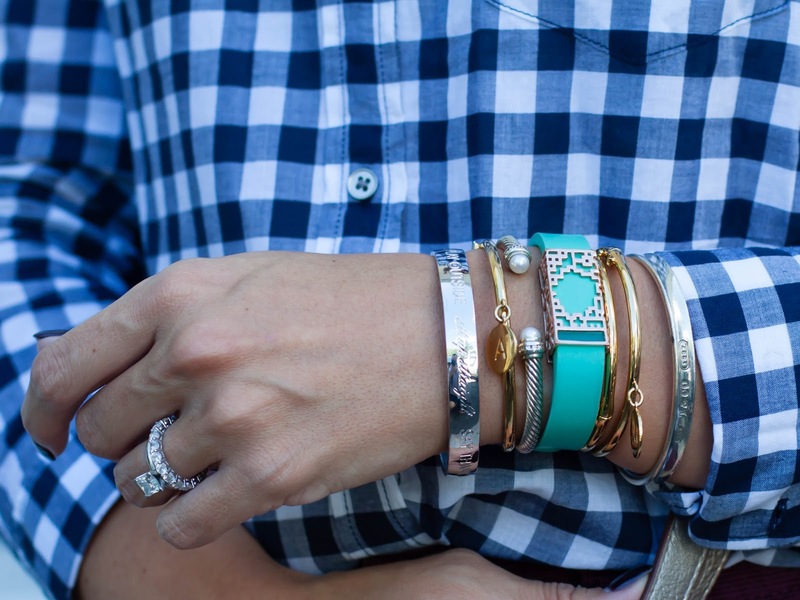 I am no one but a wife and a mom of three boys who sometimes likes to get dressed up and go out with her girlfriends or her husband because it reminds her a little bit of the girl she used to be, the girl who had a soft spot for nice things and the extra pocket cash to spend on them before she wore snot on her sleeves and play-doh in her hair and fancied buying kids clothes over clothes for herself. I was wrong. Everyone needs this dress. Why? Because not only is it ridiculously adorable but it's also made from a mid-weight fabric that screams high quality. When ordering from these pop-up online boutiques I always find myself questioning the true quality of the product. In the past I've too often been disappointed in product that was sub-par yet marked up 400%. 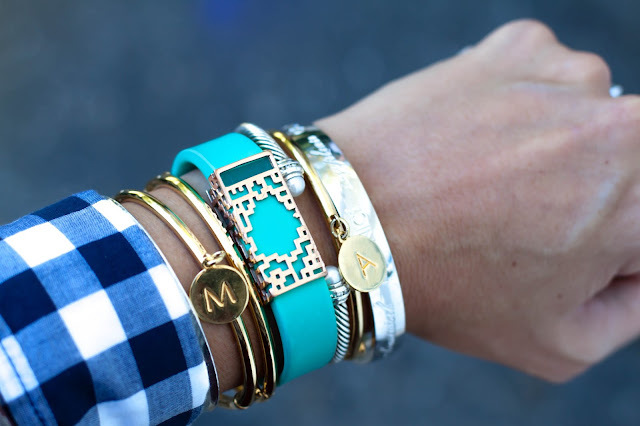 This is not at all the case with Follow Your Arrow boutique. In fact, I received three items from them and was completely blown away by the quality, fit and appearance of all three. I can assure you, you absolutely get what you pay for (and then some) when you shop Follow Your Arrow. When I first wore this dress I quickly realized that, at 5'7", I wouldn't be doing a whole lot of kid-wrangling in it, much less raising my arms above my neck. That's why it made for the perfect date night dress during my monthly dinner date night with my husband. I absolutely plan on wearing this dress much more often throughout the Fall season and the addition of textured tights or leggings and booties will certainly make it much more apropos for my usual day-to-day activities. Not sure where to start looking? Let me help. 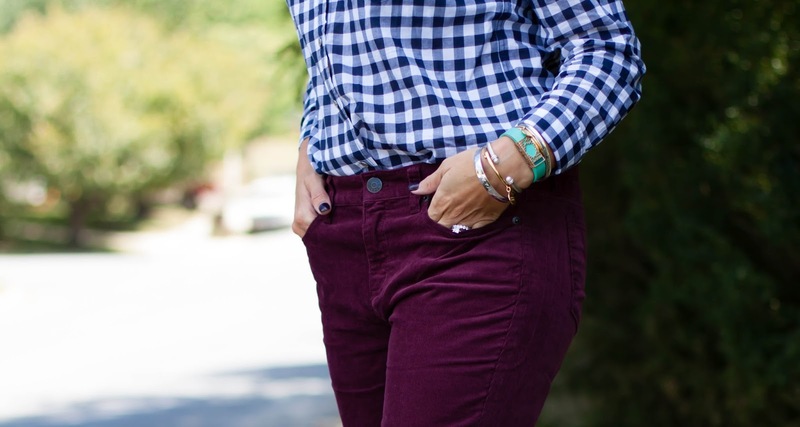 You must check out these bracelets (I'm wearing the Maverick here), this poncho (which I'll be sharing how I styled it next week on Instagram), this basic must-have tunic and these awesome cranberry colored utility jeans. 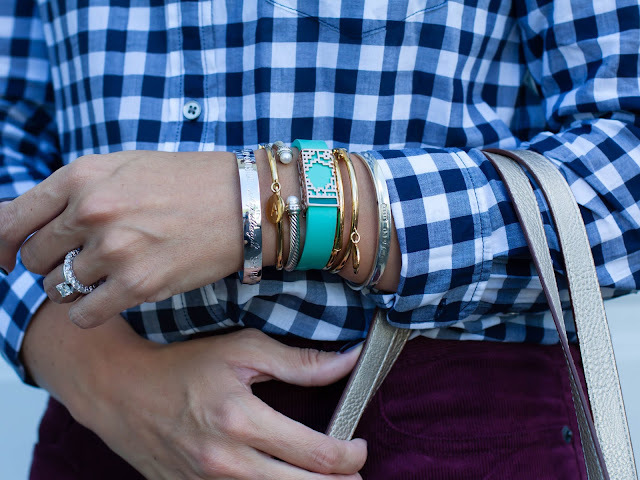 Needless to say both that tunic and those pants are sitting in my shopping cart, patiently waiting for pay day. So, what are you waiting for? Check out Follow Your Arrow and tell Lana I sent you. Be sure to use that 20% off code up there and stay up to date on new arrivals on Instagram and Facebook. Add This Toy To Your Toddler Child's Christmas List! Ever since Carter, our oldest of three, started school last August it's been quite the adjustment period for his younger brothers at home. 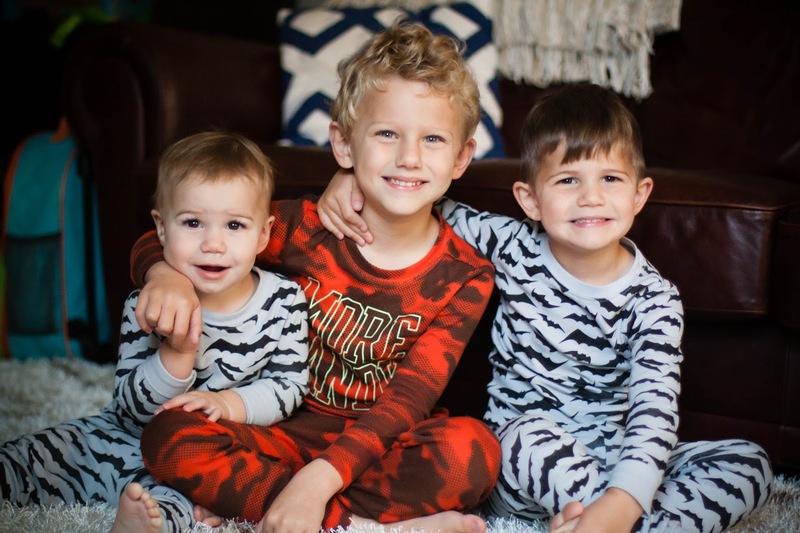 While I try to keep their hands and minds busy throughout the day with various play dates, games and activities, the absence of their best friend and playmate, for at least part of the day, is clearly evident. Although we could never replace their beloved playmate and brother between the hours of 8am and 2pm, Play All Day Elmo has been an excellent stand-in in the interim and truth be told, a nice break for me as Leader of All The Fun Things All Day Long. When Elmo comes out to play I know the boys are learning while having fun which gives me just enough time to drink a cup of coffee while it's still hot. Playskool Sesame Street Play All Day Elmo is an interactive and engaging toy with 2 modes of play to encourage both younger and older children to have fun. 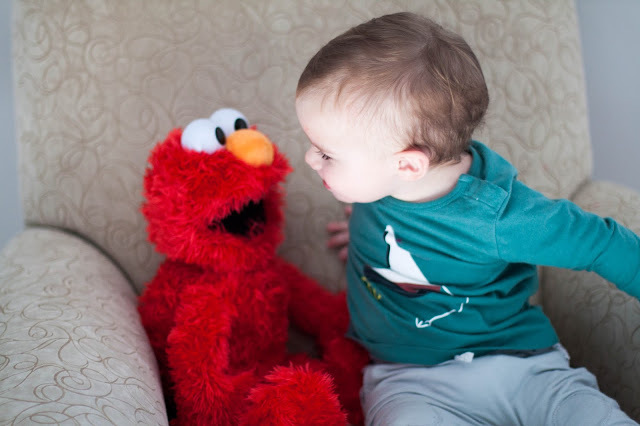 In toddler mode, the mode we use when Collins is playing with "Mel-mo," he learns basic cause and effect play such as tickling Elmo for a laugh or squeezing his nose for a silly song. 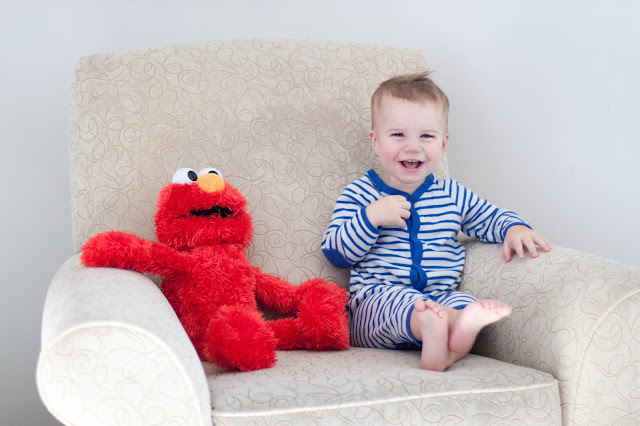 Currently, that's Collins' favorite way to play with Elmo and the way in which most laughs are elicited. 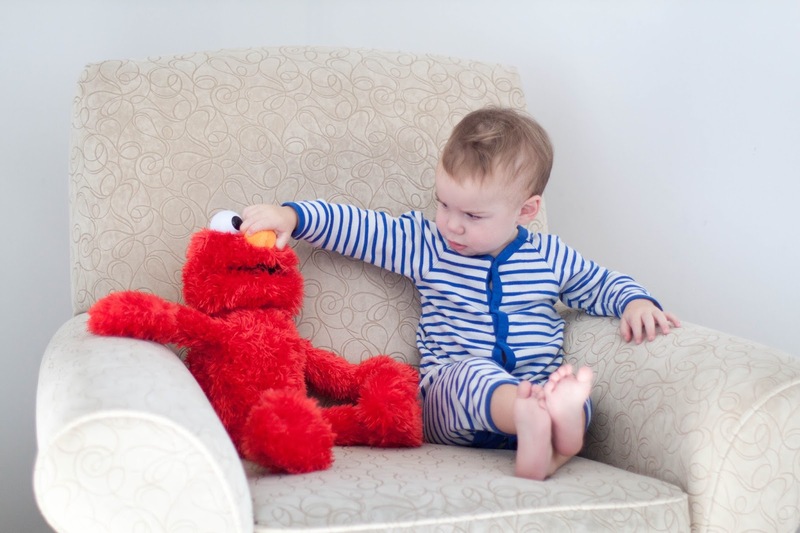 Collins loves to squeeze Elmo's nose and wait for his reaction, whether it's a funny noise or silly song. He also loves to give him a kiss and lay him down for "night night" in his crib. 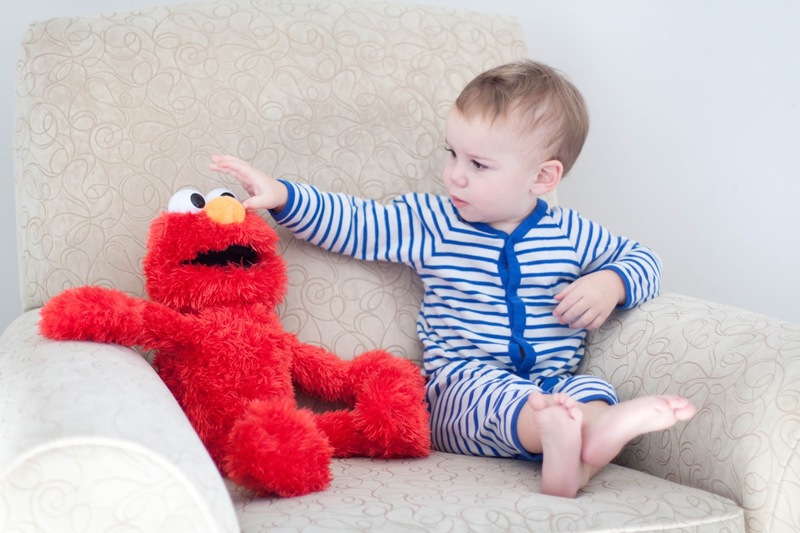 In preschool mode Elmo dictates games and activities such as Red Light, Green Light, Freeze Dance and Elmo Counts, that can be played together with your child. While we're still getting the hang of what "Red Light" really means (there's lots of cheater, cheater pumpkin eater going on), Maclane, our three year old, gets such a kick out of hearing Elmo tell him what to do. He especially loves turning him upside down and bouncing him around to make Elmo laugh. While playing, laughing and learning with Elmo is tons of fun, it's sitting on the couch and cuddling with him that my three year old loves most. With a simple squeeze of Elmo's nose, soothing lullaby music begins to play, making him the perfect rest time companion. As a mom, there are a few things about Elmo that I appreciate in particular. Not only is he an incredibly realistic counterpart of his storybook and TV persona, he also operates solely on 4 AA batteries despite the wide array of actions he's capable of. 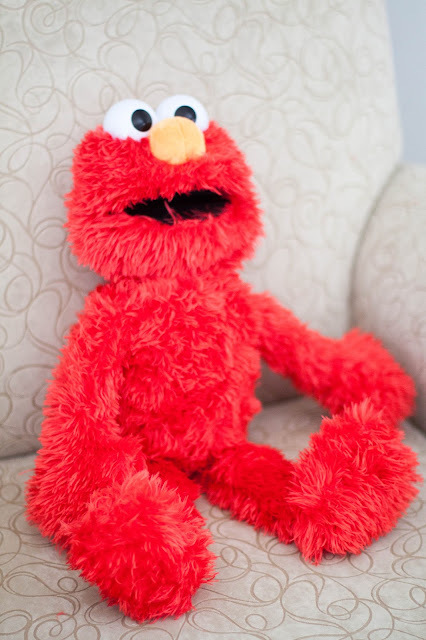 Compared to similar toys, this Elmo doll is capable of the same actions, if not more, but without charging cables, USB plug-ins and additional batteries. That's a solid win in my book! 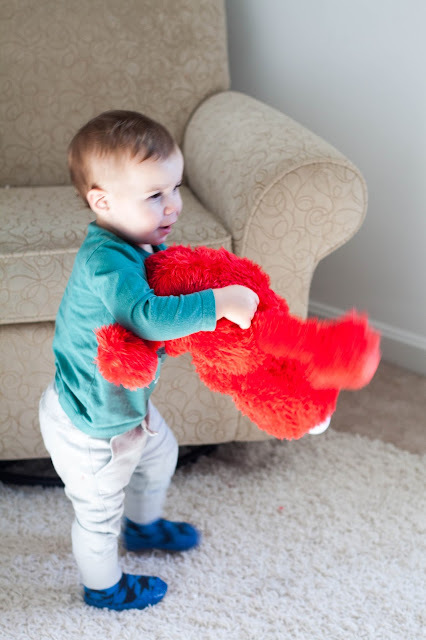 Elmo is rated for children ages 18 months - 4 years old and with a variety of engaging games and activities, he is built to grow with your child. He currently retails for less than $50 and would make for an excellent Christmas gift!